3pm, March 4th: Class is canceled for tonight and will be rescheduled due to incoming ICY WEATHER in the Austin area. Plans are to teach “Tarot Tips and Tricks” for Wyzdom Wednesdays on March 11th at NW 183 area (near iFLY) and March 25th in Manor. 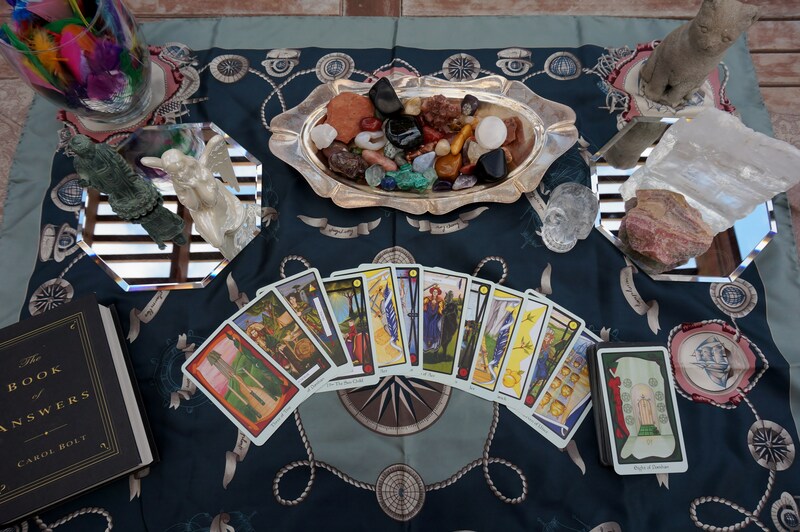 Want a tarot lesson 1 on 1 or with a small group of friends? Contact me and let me know where you’re at: beginner/intermediate/advanced, the area you live in, and any special questions you have. We can have fun with Tarot, together! This entry was posted in Classes, Events, Tarot/Oracle and tagged Austin, Christine Linial, Hutto, tarot, tarot class, WYZDOM Wednesday on March 1, 2015 by christinethepsychic.